Tokwa = Tofu, Baboy = Pork. There’s so many tofu dishes in Asian cuisine. But there’s so little in Filipino cuisine. Even though our culture was so influenced by Chinese (who have a lot of tofu love in their dishes) we don’t have much tofu in our islands. Saaaaad. But hey hey..all is not lost. I didn’t say there were no tofu love in the Philippines. There’s the awesome taho (which I’ve been meaning to blog about but haven’t made in a while) and this.. The imaginatively named Tokwa’t Baboy. Haha. Ah well saves explanations about translations and whatnot. The kitchen noob that I am, I know little about cooking Filipino food. Mostly because I’m taking for granted that I live with my parents and my mom is a good cook, my dad also makes an awesome adobo. So pretty much when I decided to make something Filipino food for my friend my mom was coaching me the whole time haha. You know how tofu is usually in those veggie filled meatless dishes? Well this is not one of them. I also love how you can prepare this ahead of time and eat it cool. Great for summer. 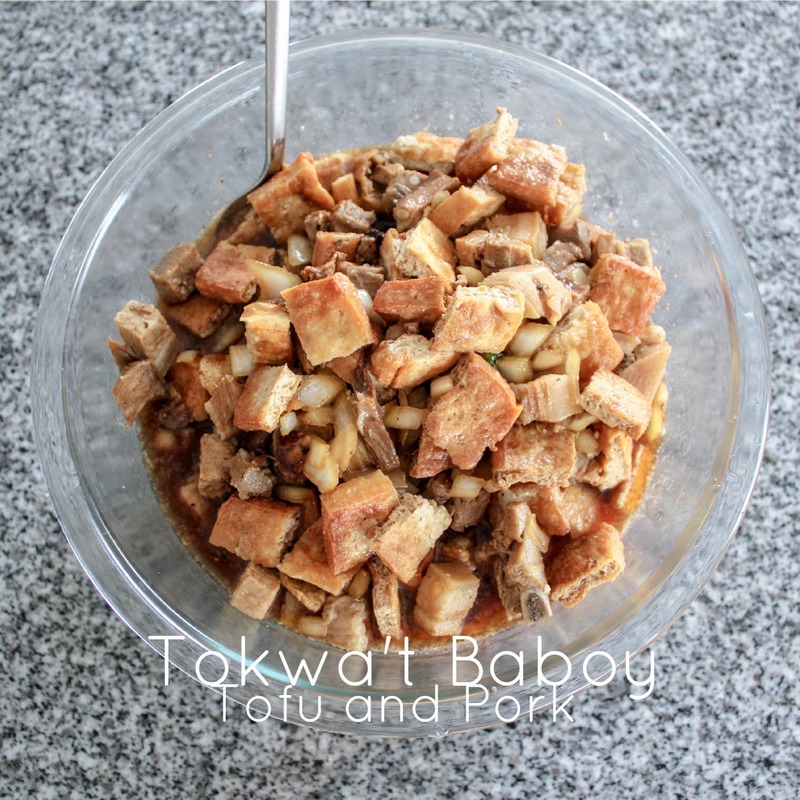 Sooo since this is the first time for me to make Tokwa’t Baboy I’m going to add this to the awesome monthly link party Our Growing Edge. This event aims to connect food bloggers and inspire us to try new things. This month’s link party is hosted by Kindra from California Cavegirl Kindra. – Boil pork bone in slices in a pan of salted water. Let it boil for 30 minutes until the meat is cooked through and soft. When the meat is cooked, slice it into smaller pieces. 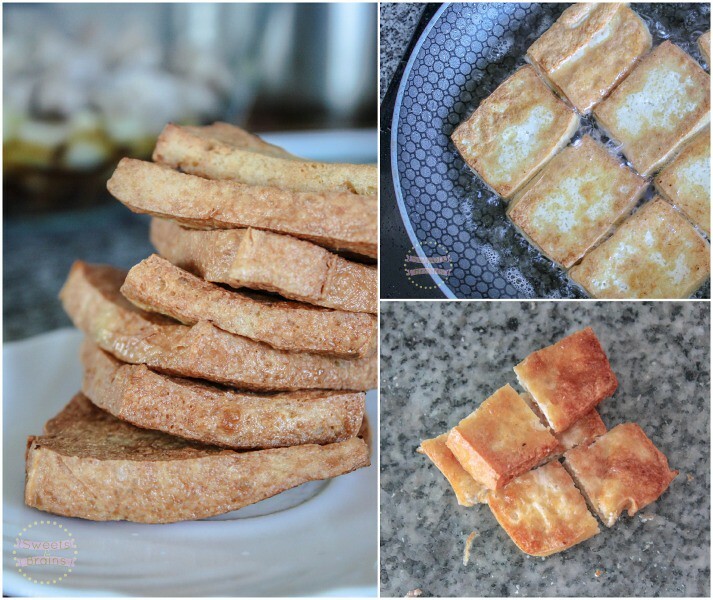 – Slice tofu in thick slices (like in the photo above) and fry in a medium heat pan with oil. After frying all the tofu, slice it into smaller squares. 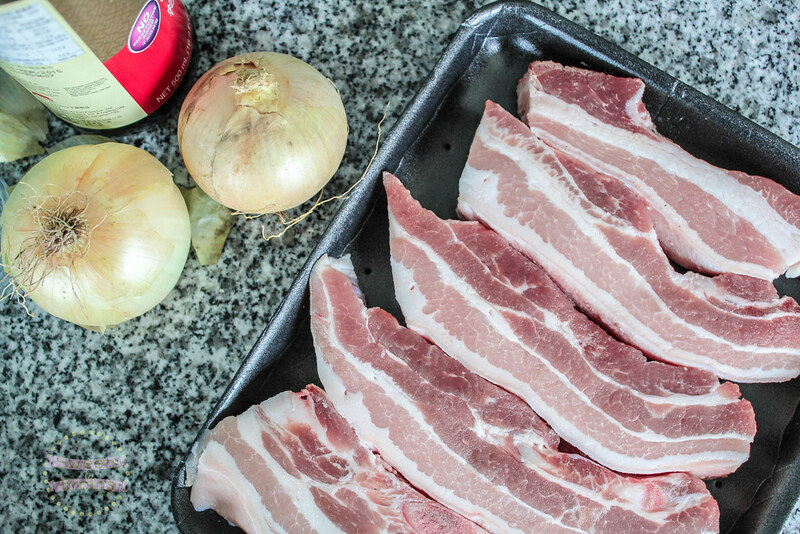 – In a large bowl, mix the pork with the onions, chilli,ginger, soy sauce and vinegar. 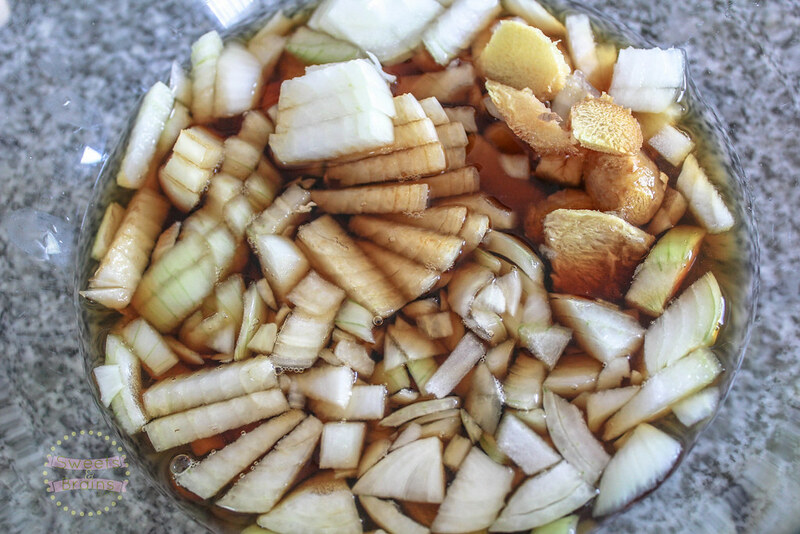 If you need to add more soy sauce and vinegar just keep the 1:2 ratio or adjust to your preference. 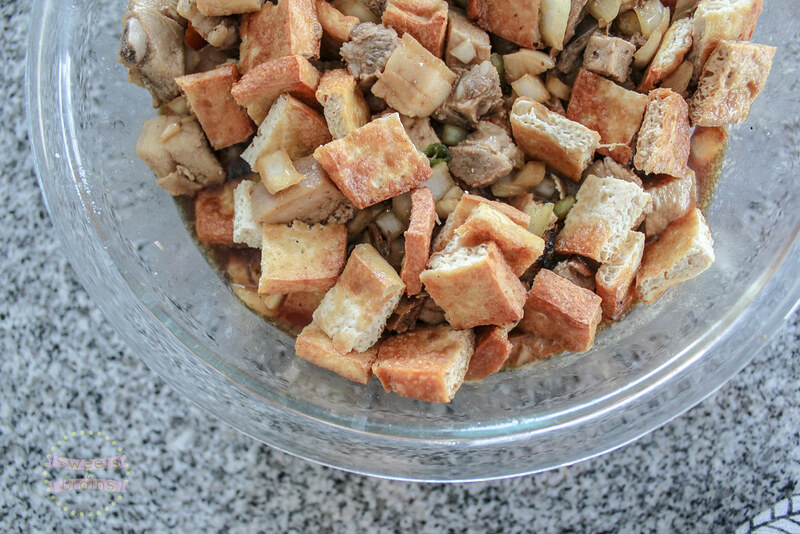 – Add tofu into the mix and stir everything together. – Refrigerate for at least 3 hours, though overnight would be preferred. – Serve with white rice. This looks yum! I have tried adobo a few times and love it. The vinegar in this reminds me of that dish. I’d never guess that this would be eaten cool. I’m sure it would taste great either way. 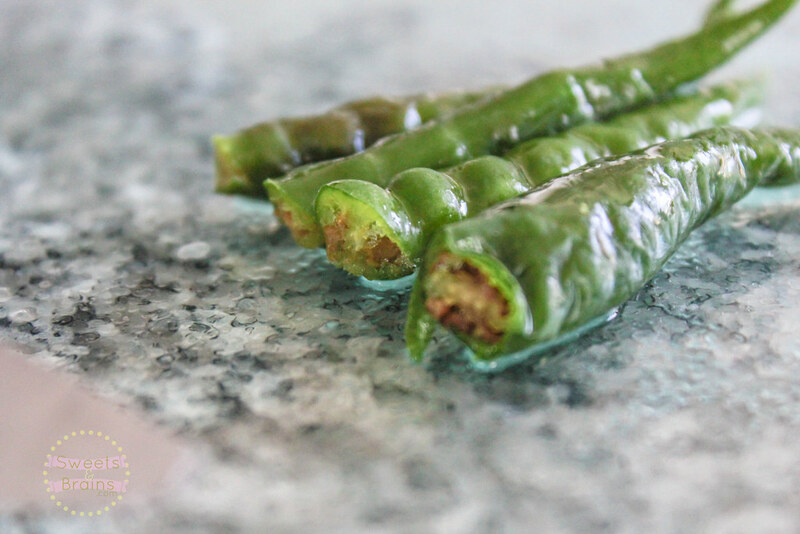 Do you know what this is traditionally eaten cold? Aw yeah. This is more vinegar-y than adobo though hehe. It tastes good cool or not but cold is better. Mmm that looks yum! I love tofu, especially fried tofu ☺. 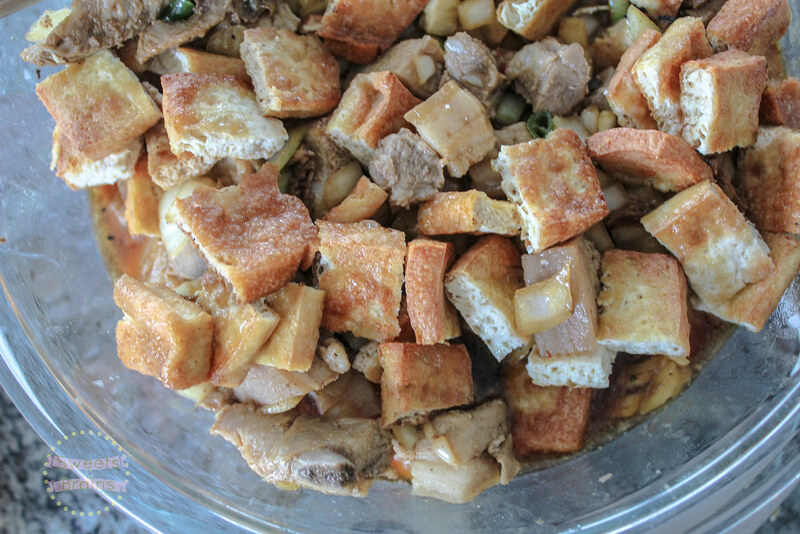 In Indonesian we say tahu for tofu, sounds like your taho ☺. Would love to read more about that.